Apr.1936 Start of production of spring lock washers. The production is a second profession, as a main profession he is a baker. The machines are self developed by Wilhelm Güde. 1950 He quits the profession as baker. 1955 The first employee is hired. Dec.1972 Wilhelm Güde dies at the age of 62. 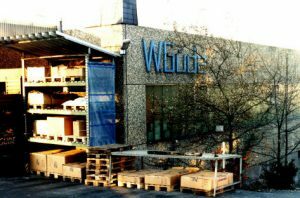 Jan.1973 Friedrich Wilhelm Güde joins the company. 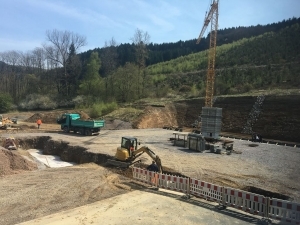 1975 The production department and the stock are extended by 1.000 m². 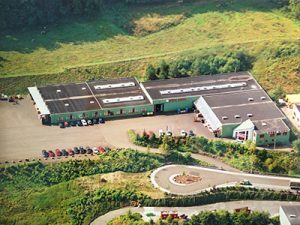 1990 The company moved to the current location close in industry area. The new building consists 4,700m² for production, hardening area, shipping department and offices. Meanwhile 50 people are employed with the production and sale of fastening devices and wire bended parts. Over 50% of the products are exported. 1997 The production department is doubled. 2006 Award for Güde from the German federal ministry of economy and technology for the project “processes and standards in the ebusiness”. 2009 Lutz Wilhelm Güde joins the company. 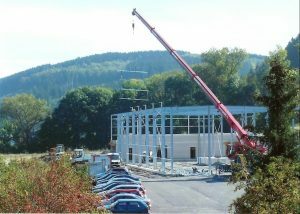 2012 New construction of stock of 2.500 m². 2015 Investment in new packing machine and salt spray chamber.